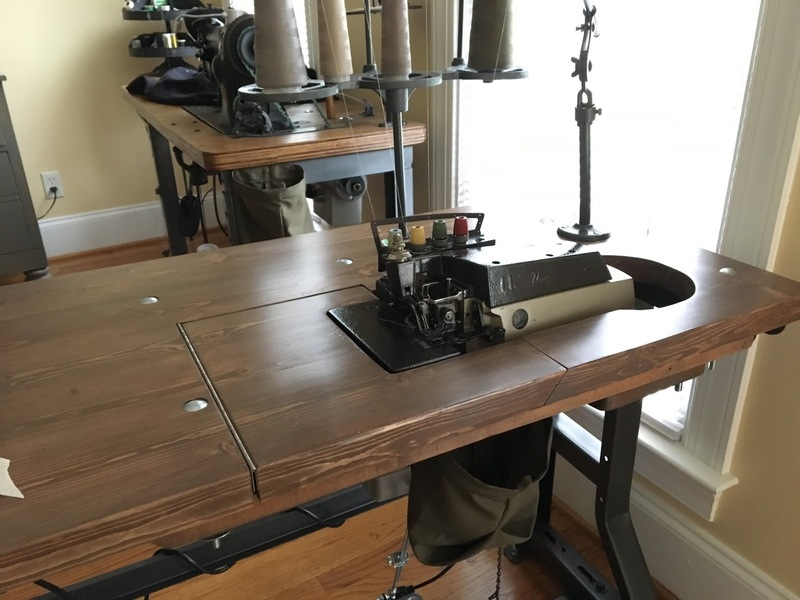 If you saw my previous post you’d know I got an industrial serger! Sergers make a lot of messes because of all the trimmings they create! 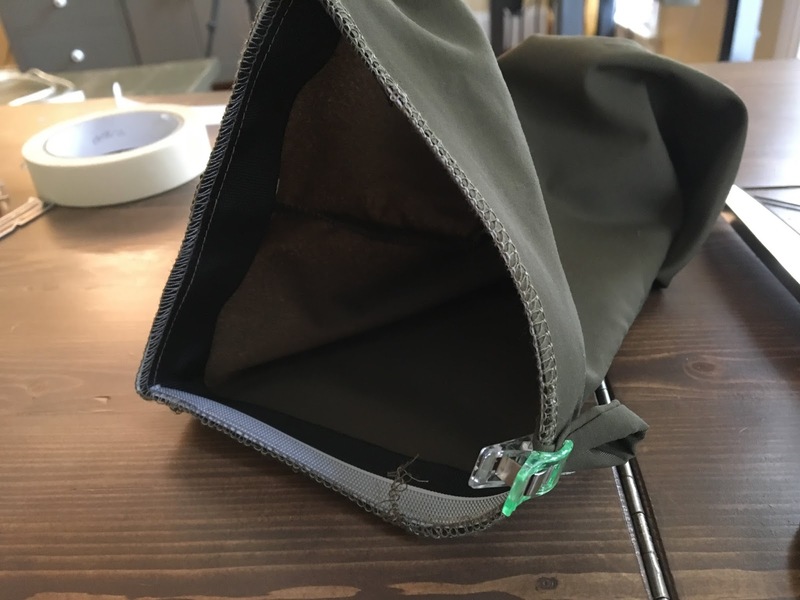 I brainstormed and came up with a little fabric bin that collects the trimmings – hopefully with this tutorial you can make one too! 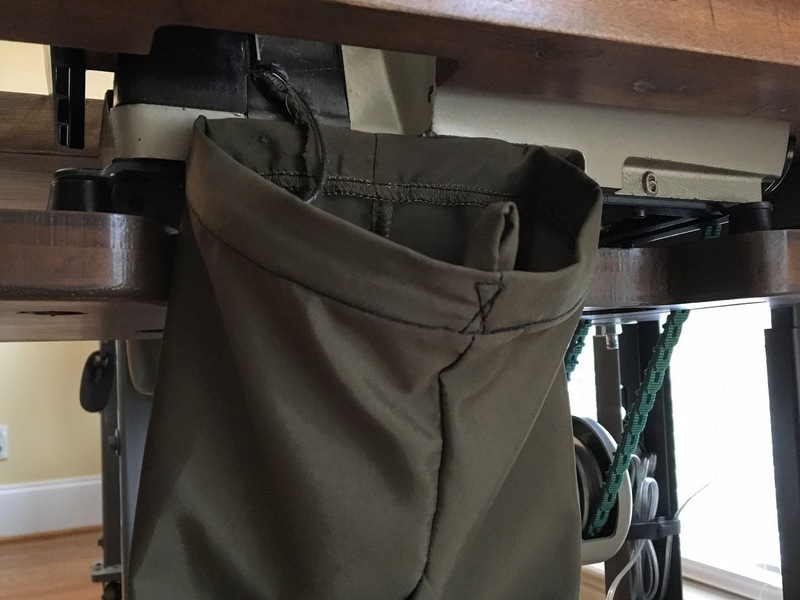 Strong magnets in the hem attach the bin directly to the machine*. It removes easily for dumping and sticks right back on. There’s a strip of boning in the front to keep the bin open. *Want to use one of these bags for your regular-hobbyist machine?? – press thumbnails into the edge of your dining table for the magnets to attach to (I’m full of solutions), haha! 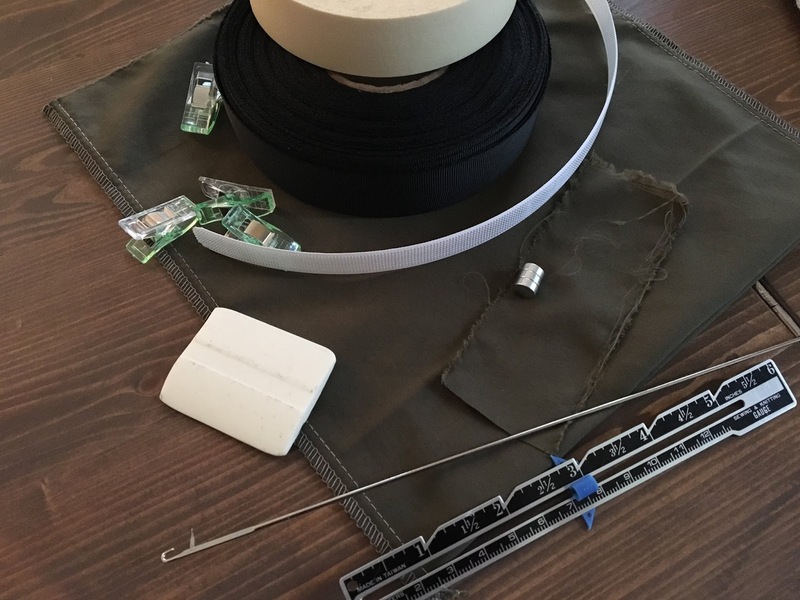 **I used a thin nylon strap material but use whatever you have on-hand that is about 1″-wide and will help stabilize the top hem (fusible interfacing, ribbon, strapping, etc). 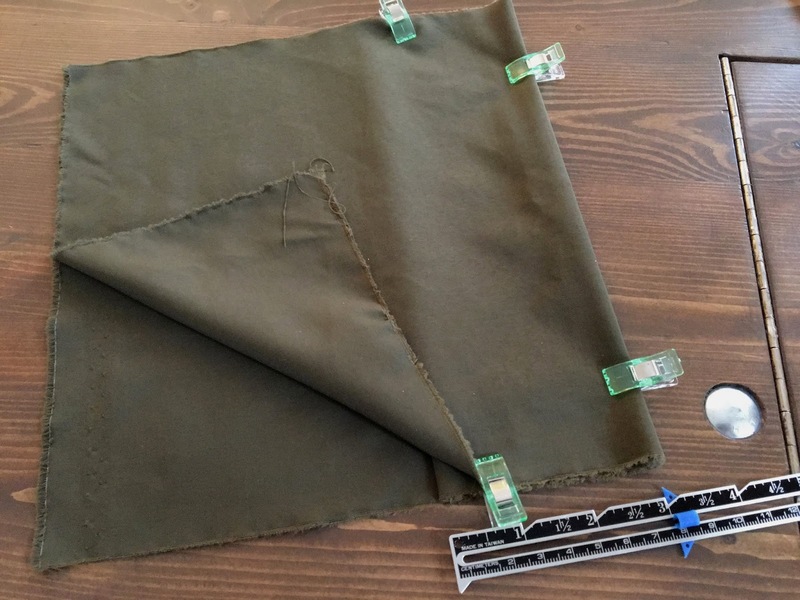 Fabric – Cut your fabric so you have a 9 x 24″ piece and a 1-1/2 x 4″ piece (optional – for a loop on the front). 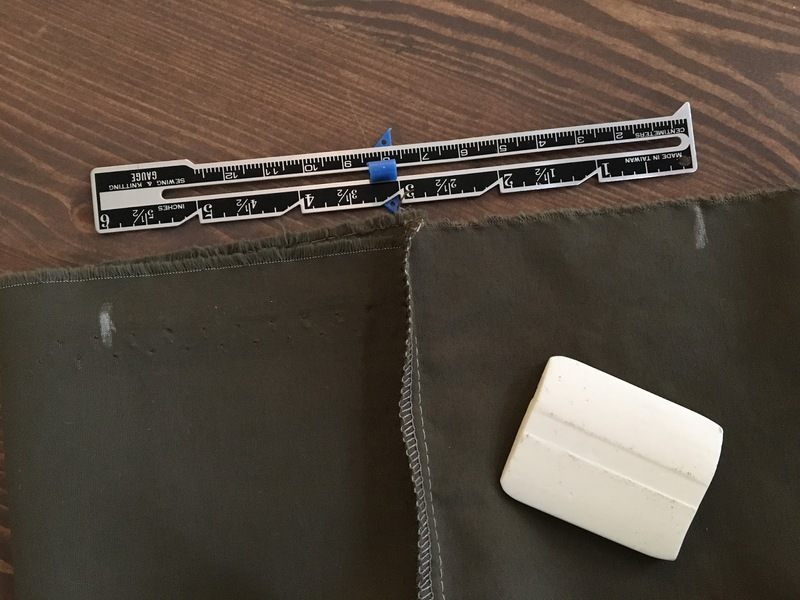 Boning – Cut your 11″ boning piece so the corners are rounded (prevents it from poking holes in your fabric). Fold your small strip of fabric in-half across the width with right-sides together. 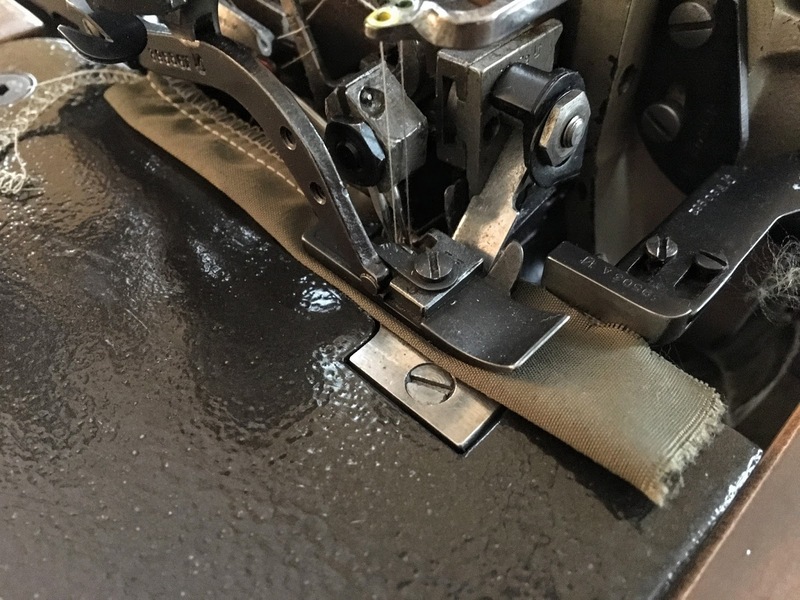 Sew along the long edge with a 1/4″ seam. Turn strip right-side out with turning tool. Set aside. 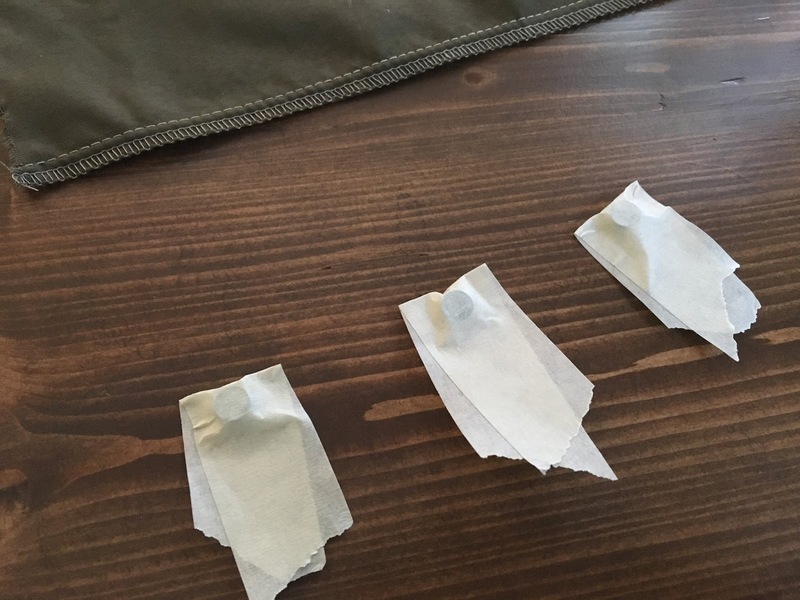 Fold you large piece of fabric in half with wrong-sides together and fold each side down (over the bottom fold) so you have a 3-inch overlap on the bottom end. Essentially, you have your fabric tucked in 3-inches inside from the bottom fold. 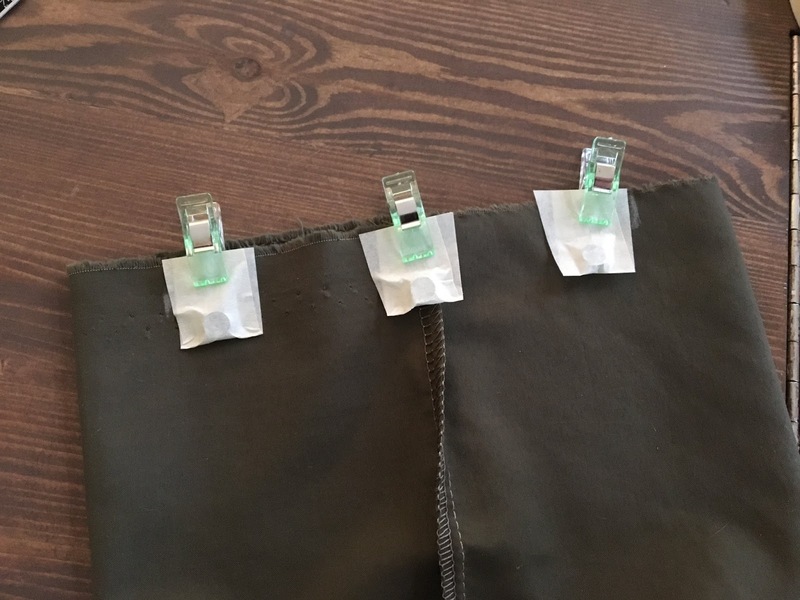 Clip your fabric in place. Sew along each raw side with a 1/4″ seam. Lay out 3 (5″ strips) of masking tape and place a magnet in the center of each one. Fold masking tape over to enclose each magnet. TIP: I intentionally left the edges of my tape sticky so it would hold in place better over my fabric while sewing. 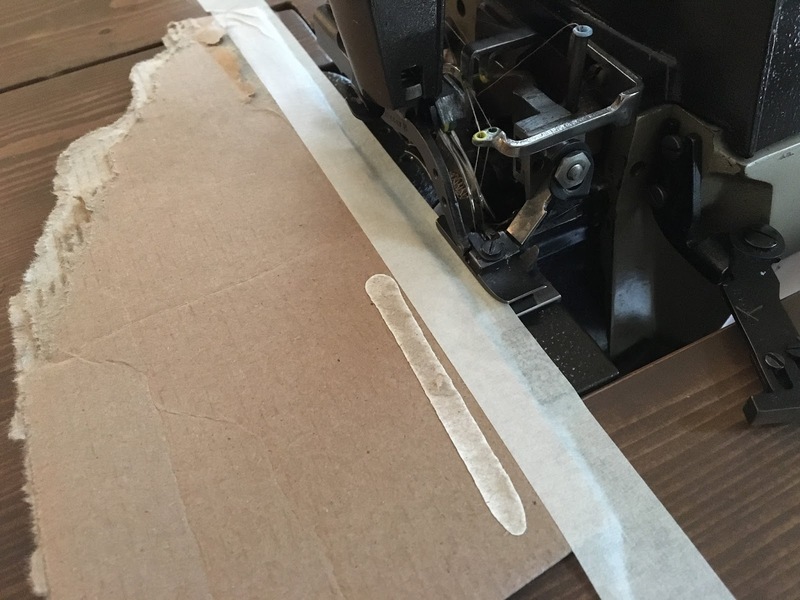 You want your masking tape pieces 1″ tall – trim the excess away. 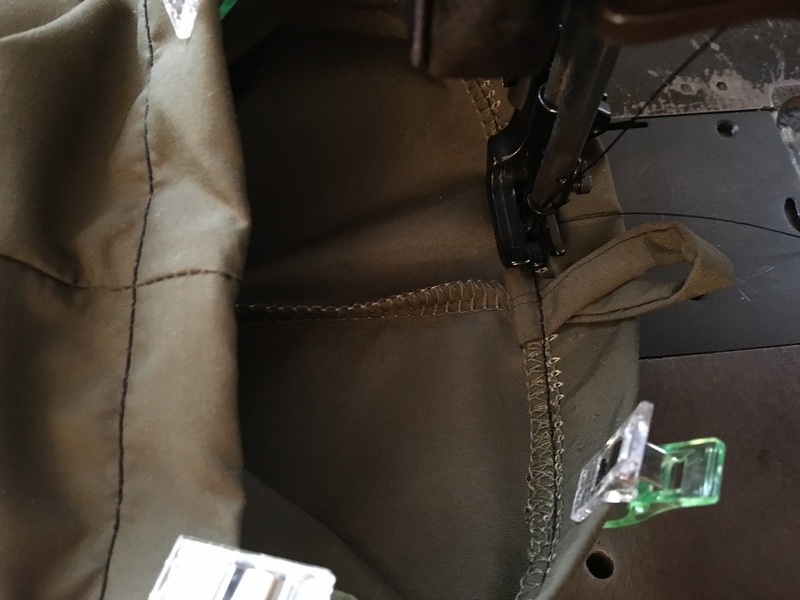 Measure and mark along the top edge of your bag, 3″ to each side of one of the seams. 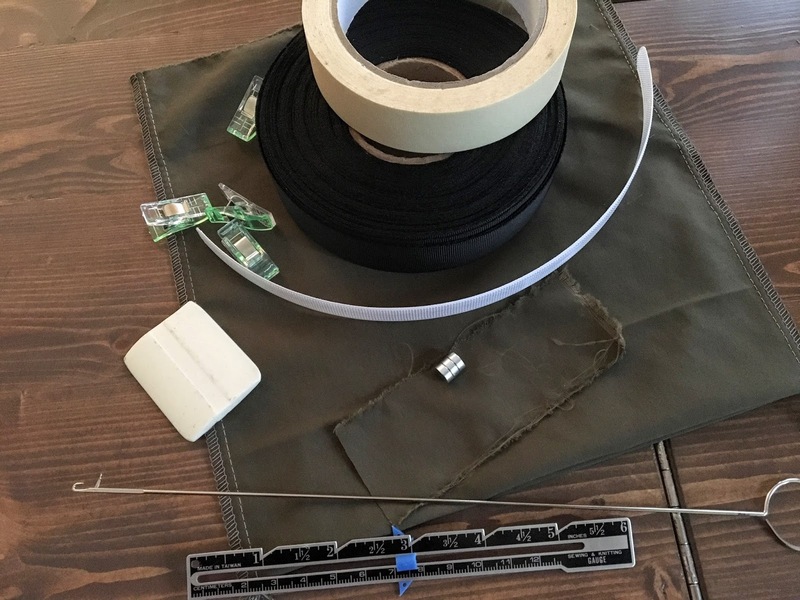 Clip your magnets/masking tape (on the wrong side of your fabric) inside the 6″ area you’ve marked off, having two along your marks and one in the center. 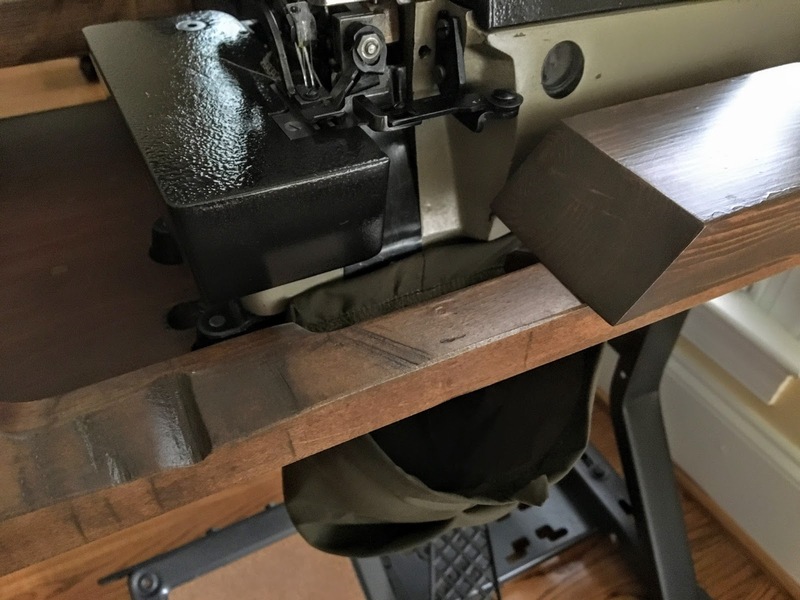 I taped a piece of cardboard over the bed of my machine to keep the magnets from sticking to it while I sewed. Turn your bag right-side out. 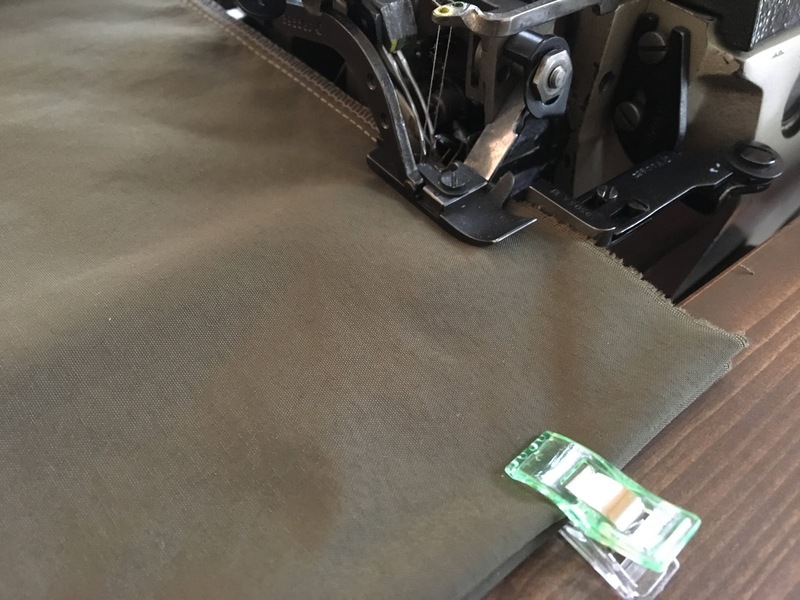 Layer and sew your 1″ stabilizer and boning along the top edge of your bag, starting at the last mark just after the masking tap. 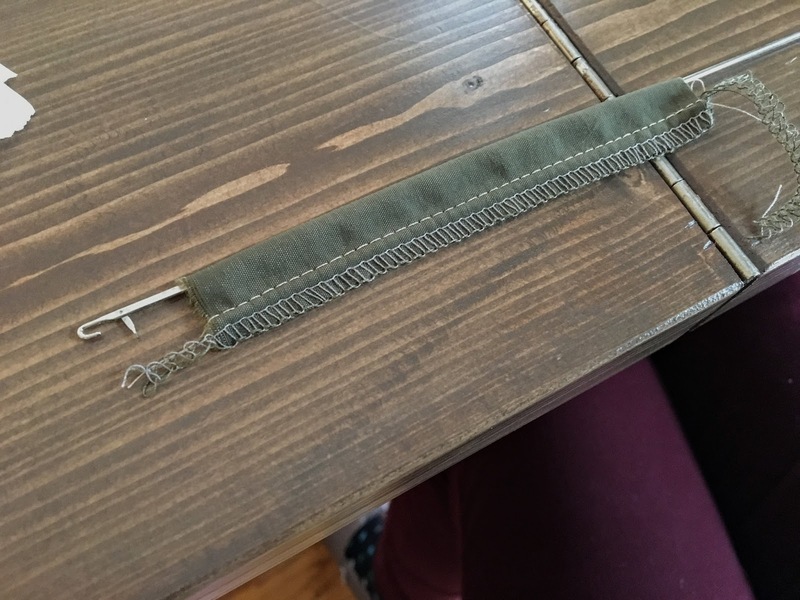 I cut off about 1/8″ of my bag while sewing. 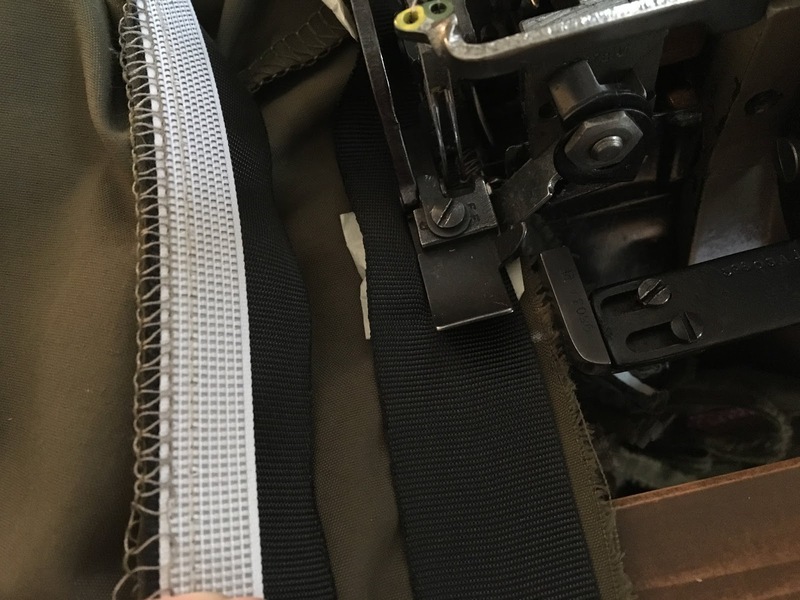 Your boning will end at the mark on the other side of your bag (hopefully)… continue sewing your stabilizer all the way to meet where you started. 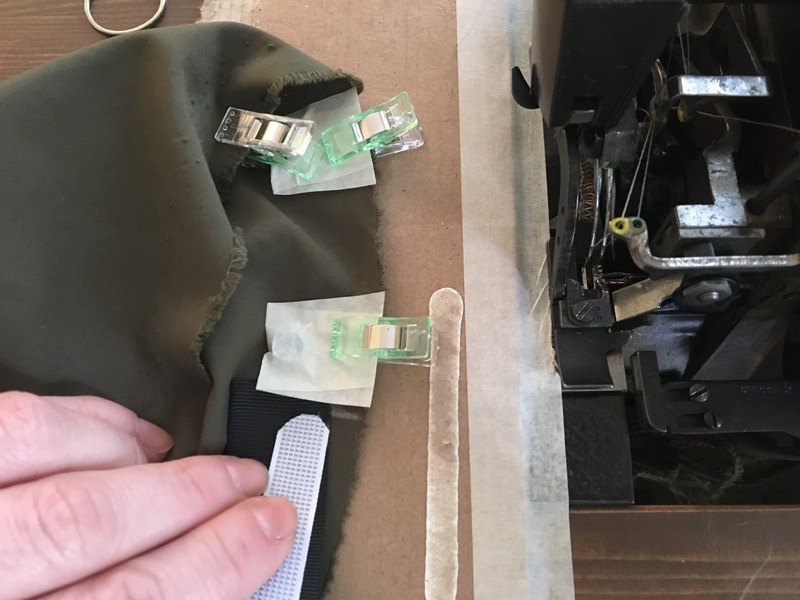 In the meantime, you’ll be sewing over the edges of your masking tape – your sewing foot should clear the magnets. 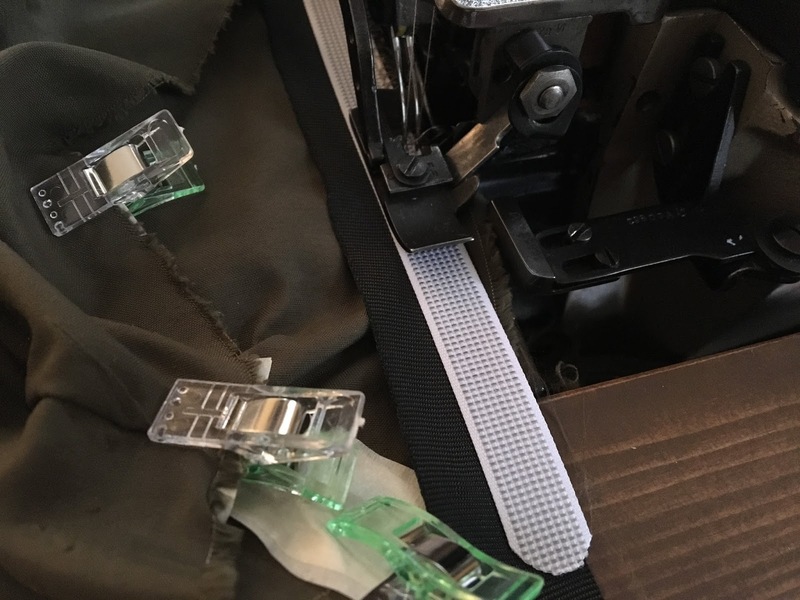 You can make a loop out of your small strip and clip it over the front seam of your bag – I tucked the ends over about 1/4″. 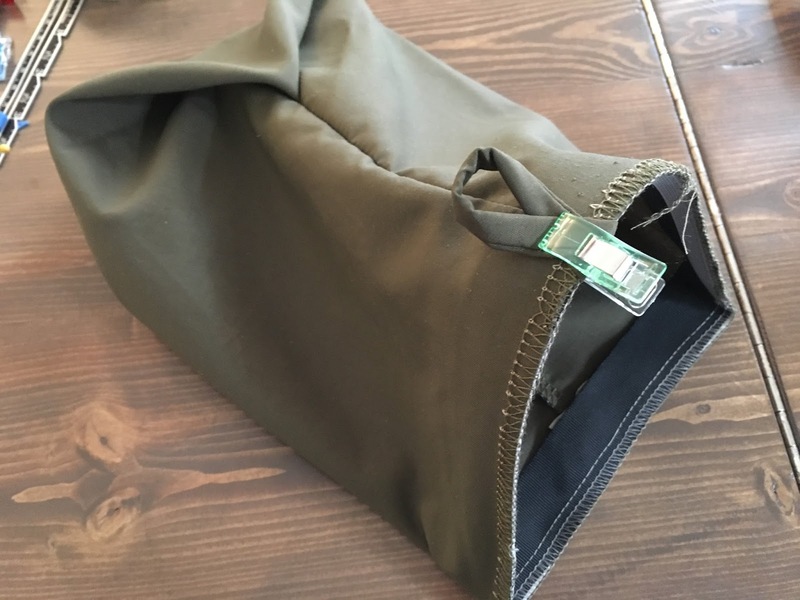 Fold the top of your bag inside 1″ and clip in place (the stabilizer inside will help you with this since it is 1″ wide). 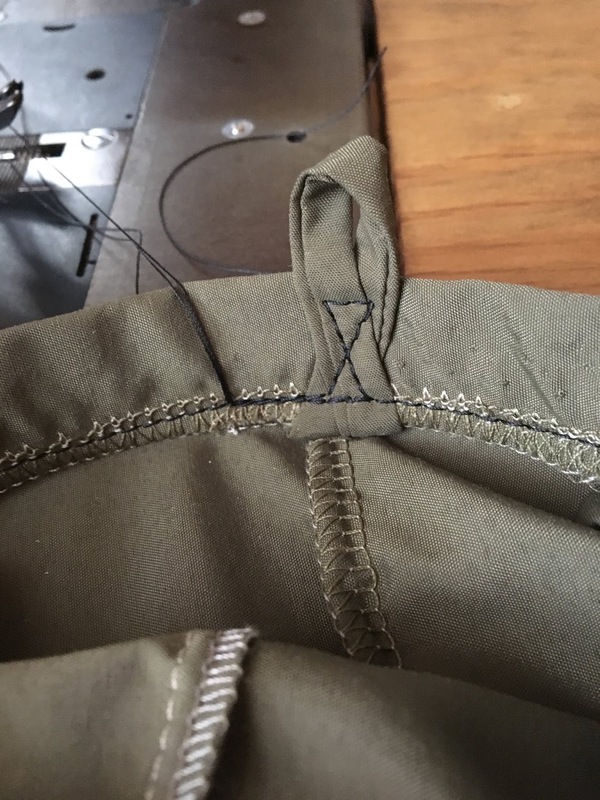 Top stitch all the way around the bottom of your hem. I made an x-pattern of sorts over my loop to keep it in place. 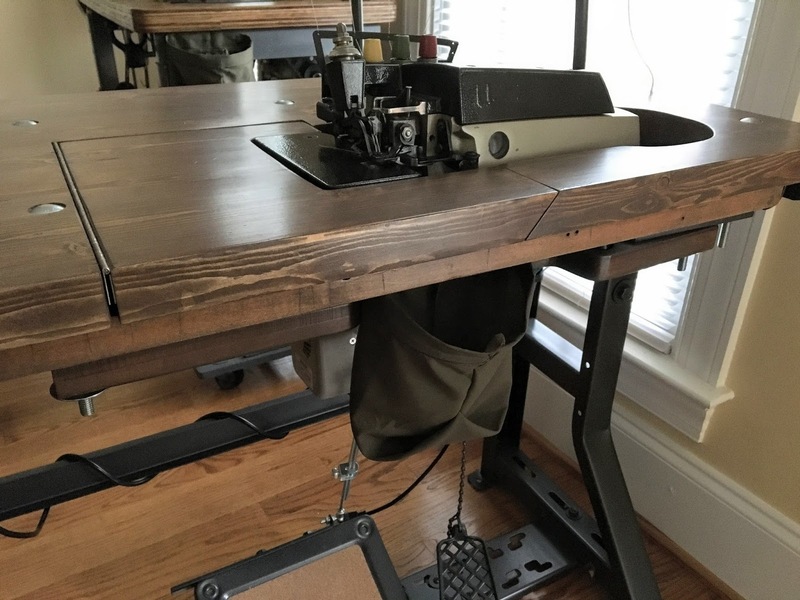 To be honest, the loop isn’t necessary for me, but if you found that you needed extra support you could put a c-hook under the table of your machine to hook the loop on. 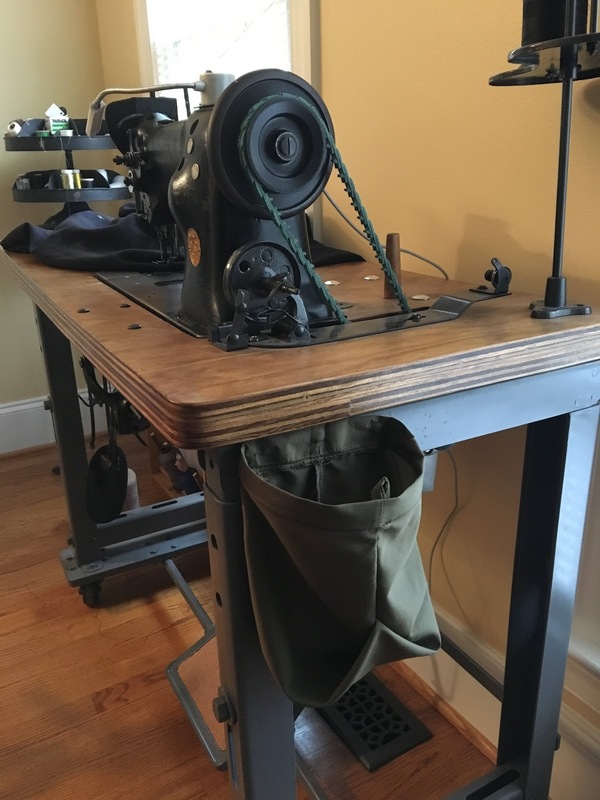 I decided to make an extra bag for my straight-stitch machine to hopefully keep those threads and random clippings off the floor (I’m a messy sewer)!